Perama Ship Repair Zone dock maintenance works completed and the new floating dock is expected to get ready by November 2017. P. Kouroumplis, Minister of Shipping and Insular Policy, S. Pitsiorlas, Deputy Minister of Economy and Development, the Mayor of Perama, I. Lagoudakis, the Secretary General Ch. Lampridis, I. Angelopoulos, Chairman of Regulatory Authority for Ports (RAL), Piraeus Members of Parliament etc have visited the Zone. Capt. Fu mentioned that the investments provided by the concession agreement begin from the ship repair sector. It may seem a big surprise for a country whose industry is proud of green technology and engineering solutions, but Germany is responsible for the worst shipbreaking practices among all shipping nations when one compares the size of its fleet to the number of ships broken irresponsibly, says the NGO Shipbreaking Platform. 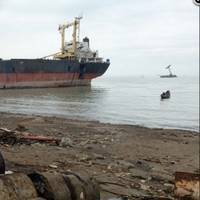 In 2016 German owners, banks and ship funds had 97 ships rammed up on the beaches of South Asia out of a total of 99 vessels sold for demolition, meaning 98 percent of all obsolete German ships ended up on a beach. Greece is still struggling to find investors for a rail freight hub that it has been trying to set up since 2008, sources close to the process said on Monday. China's COSCO had been expected to team up with other investors after the Greek government launched a new tender for the 250 million euro ($280 million) investment project last year, part of a bid to turn Greece to a European transhipment hub. Greece, which had to turn to its euro zone partners and the International Monetary Fund in 2010 for help in riding out a debt crisis, is still struggling to revive its economy. The selected investor will have to build a terminal with access to the national railway network and Greece's largest port in Piraeus and operate it for 60 years. 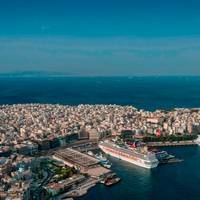 Greek cruise ship operators are worried of a lasting impact on the sector from an ongoing strike by port workers protesting against the sale of the country's biggest port Piraeus to Chinese shipping giant COSCO. Greece in April agreed the sale of a 67 percent stake in Piraeus Port to COSCO for 368.5 million euros under a third international bailout. Port workers have held 48-hour rolling strikes since late May, disrupting cargo operations and services provided to cruise ships docking at Piraeus over fears their jobs are at risk. Policy reforms required to meet bailout terms; parliament expected to measures on May 8. Greeks started a 48-hour nationwide strike on Friday in anger at tax and pension reforms pursued by the indebted nation to qualify for more of a multi-billion euro bailout it signed up to last year. Called by the largest private and public sector unions, the strike left ships docked at port, disrupted public transport and kept civil servants and journalists off the job. Greece's largest labour union, the private sector GSEE, said the reforms, now pending approval in parliament, were the "last nail on the coffin" for workers and pensioners who have sacrificed enough after six years of austerity. Chinese shipping conglomerate COSCO is in advanced talks with Greek real estate developer Grivalia and logistics provider PAEGAE, about jointly bidding to build and operate a rail freight terminal near Athens, a Greek newspaper reported. Greece has launched a tender for the 250 million euro ($283 mln) project to build the terminal at Thriasio near Athens, which would have access to the country's railway network and its biggest port at Piraeus. COSCO's shipping unit China COSCO Shipping last week signed a deal to buy a 67 percent stake in Piraeus Port , a move which fits with the group's plan to build a European transhipment hub. PAEGAE is owned by National Bank, Greece's second-biggest lender. China's COSCO already the sole bidder for Greece's Piraeus Port. Buying both would give COSCO a European transhipment hub. China's COSCO is expected to make an offer for Greece's rail network after becoming the sole bidder for the country's largest port, two people familiar with the matter said, as the state owned shipping giant forges ahead with a plan to build a European transhipment hub. Buying TRAINOSE and Piraeus Port would give COSCO maritime connections to the Suez Canal and rail links to the Balkans and central and Eastern Europe. Bolstered by December's merger with China Shipping Group , COSCO's focus on Greece is about building market share at a time of anguish in a bruised and oversupplied shipping sector, industry sources said. The worst dumper prize goes to IDAN OFER, son of shipping magnate Sammy Ofer. Idan Ofer owns QUANTUM PACIFIC GROUP and has a controlling stake in Israel’s largest publicly traded company, ISRAEL CORPORATION. Combined, these shipping companies sold the highest number of vessels for substandard breaking operations in 2015: nine in total, with six of them going to Bangladesh, where conditions are known to be worst. GREEK SHIP OWNERS sold the most ships to South Asian shipbreaking yards in 2015, with 87 ships in total. Greek dock workers walked out on Thursday in protest at the planned privatisations of the country's two biggest ports, a condition of a multi-billion euro bailout from international lenders. Setting a date to submit binding bids for Piraeus and Thessaloniki ports is one of the actions that Athens needs to conclude its first bailout review and unlock more funds for its 86 billion euro bailout. Shipping ministry officials said the industrial action did not appear to be disrupting traffic at the ports. A statement from the dock workers' labour union vowed to avert privatisations and accused the government of attempting to sell out to "foreign owned monopolies". "Ports should be developed by utilizing own capital, through credit facilities and tapping European Union funds," it said. 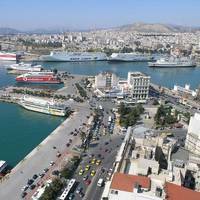 The Greek government plans to delay the privatization process for its largest Port, Piraeus, by a few weeks due to delays caused by the September 20 election to the works of the ministries involved in the procedure, reports Reuters. The successful investor was previously expected to be announced by the end of September or in early October. “We will fall behind by about 20 days because the concession agreement that the shipping and finance ministries have to sign is causing a short delay,” an official said. Greece will ask the European Union for about 700 million euros to build infrastructure to shelter the hundreds of refugees and migrants arriving on its shores daily, the government said on Thursday. The cash-strapped country has seen a rise in the number of refugees and migrants -- mostly from Syria, Iraq and Afghanistan -- arriving by sea from nearby Turkey. Aid agencies estimate about 2,000 people cross over to Greek islands including Kos, Lesbos, Samos and Chios every day. The interim government said it planned to set up a new operations centre and take steps to improve conditions at existing refugee centers. Economy Minister Nikos Christodoulakis said the country will seek EU funds earmarked to address the crisis. Greece Economy Minister George Stathakis said that his government is dropping its opposition to selling off the Piraeus Port Authority SA. A sale of the Piraeus Port would be a reversal on the part of Greece’s Syriza party-led government, which had earlier pledged to block such moves. The country's leftist government had ruled out any privatization plans when it came into power but it later started pondering the revision of the sale terms and now has have given the green light for the sale of a majority stake in Piraeus port . Greece has submitted a fresh proposal which includes hiking shipping taxes and to gradually remove the industry's special tax status to the EU in a bid to secure a 53.5 billion euro ($59bn) rescue package to help cover its debts until 2018 and stave off bankruptcy. According to reports among the tax proposals is increased tax on shipping companies, which currently enjoy preferential treatment under the Greek constitution. No details of what the higher taxes would be were available. Greece bolstered security at a holiday island struggling to cope with an influx of refugees on Wednesday, a day after frustrated migrants scuffled with police, and pledged to ease the plight of the hundreds arriving daily on its shores. Greek Minister of State Alekos Flabouraris said a ship with a capacity for at least 2,500 people would be dispatched to the island of Kos, which has seen a spike in refugees in recent weeks. The cruise liner would be converted into a reception centre to process arrivals and would dock in the main port of the island, the minister said. Two riot police units were dispatched to Kos from Athens and police reinforcements from nearby islands were also drafted in, police sources said. Authorities struggling to cope with arrivals; 21,000 people landed on Greek shores last week. A passenger ship that is housing Syrian refugees set sail from the Greek island of Kos on Wednesday, heading for the mainland as authorities struggle to cope with a wave of arrivals. The ship, which has acted as a floating accommodation and registration centre since Sunday, was heading for the northern port of Thessaloniki, Greece's second biggest city, where it was expected to arrive on Thursday morning. It will stop at the islands of Leros, Kalymnos and Lesbos to collect more migrants, the coast guard's office said. But confusion reigned over where they will be accommodated after arriving at the port, or whether they would disembark at all. Syrians want to get to northern Europe. A car ferry carrying just over 2,400 Syrian refugees arrived on the Greek mainland on Thursday as a wave of migrants fleeing conflict and poverty continued unabated, straining a country which is already in economic crisis. Many of the Syrians made 'V' for victory signs as they disembarked in the port city of Piraeus from the ship, chartered by the Greek government to ease conditions on islands in the eastern Aegean, where migrants are arriving on inflatable dinghies and small boats from nearby Turkey. Greece has been found largely unprepared to deal with the migrant crisis in recent weeks, prompting criticism from aid agencies. 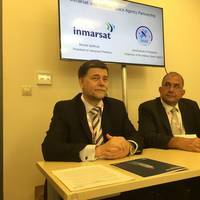 Arrivals in July totalled 50,000, far outstripping the figure for the whole of 2014. Greece ferried hundreds of refugees to its mainland on Friday to relieve the pressure on outlying islands that have been overwhelmed by thousands of people arriving by boat to flee Syria's civil war. At the same time, crowds of migrants massed on the Greek border with Macedonia, preparing to travel north across a continent that is struggling to cope with the influx of desperate people escaping from conflict and poverty. Just under 2,200 refugees arrived at the port city of Piraeus on Friday night on a car ferry chartered by the Greek government.